Andrew: They look like creepy little eyeballs.! Jess: Well, no matter how you feel about those bubbles, Renegade Games has exciting news. They’re bringing, designer and illustrator, AzaChen’s Bubble Tea Game to the western market! 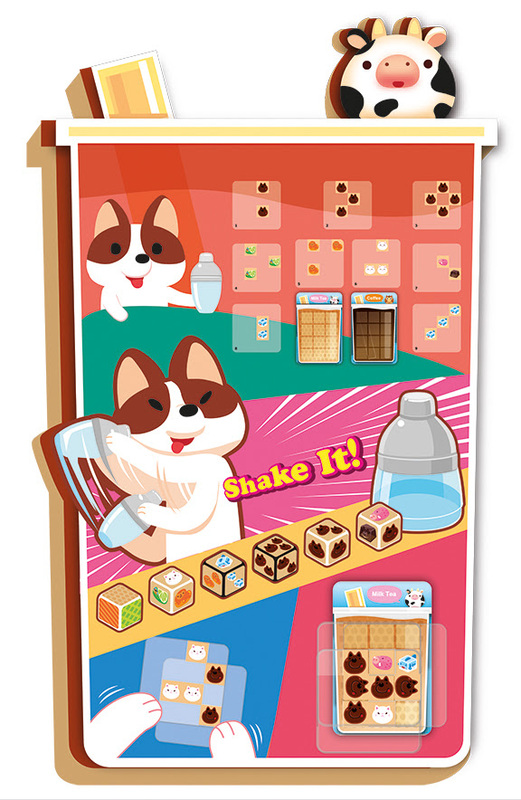 In Bubble Tea, players try to serve customers as fast as possible by rolling dice to match orders. The game cleverly uses transparent ingredient cards to add a puzzley stacking element. Whoever serves their customers the fastest and most accurately wins! Bubble Tea offers two different game modes for 1 to 4 players and comes with adrink shaker you’ll use to shake up your dice. You can pre-order Bubble Tea now on the Renegade games website. Next Post:Catan is Coming to the Switch!